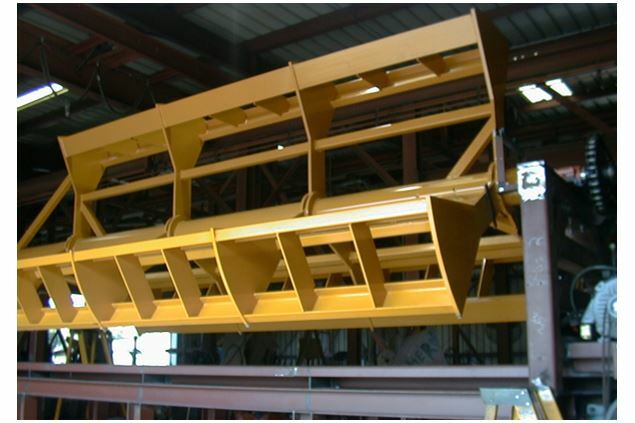 Cooper Machine manufactures a tree length cutup system with infeed log trough, 76" cutoff saw, outfeed trough with length stops and also push kickers or rotary kickers (if needed). The diameter of the log is determined by using ultrasound. The log tree length cutup system automatically cuts logs to predetermined lengths. The cutup system is designed to fit your application. Different size cutoff saws are available.